Brought to you by the one and only Pawstar. 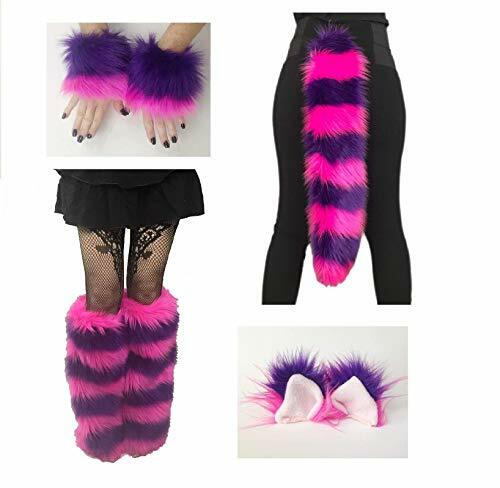 A high quality made in the USA, soft fluffy Cheshire Fox Ear Heabband (Look for our combo deals and save!) Sized for adults, one size fits most. Soft high quality, low-shed faux fur flow evenly with your movements. No course yucky thin furs here! Hand wash, do NOT tumble dry. Brought to you by the one and only Pawstar. 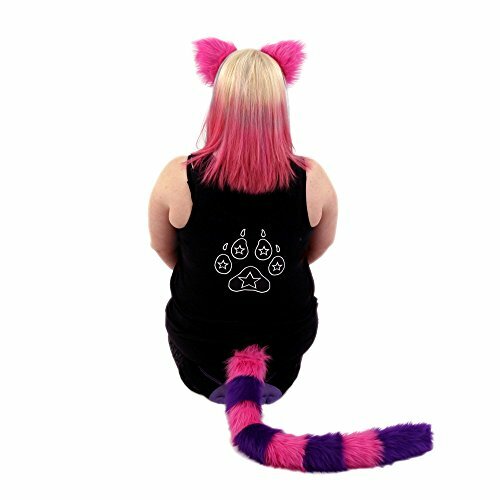 A high quality made in the USA, soft fluffy Cheshire Fox Yip Ear and mini Tail Combo! Save $5 when you buy these two items in this combo set! 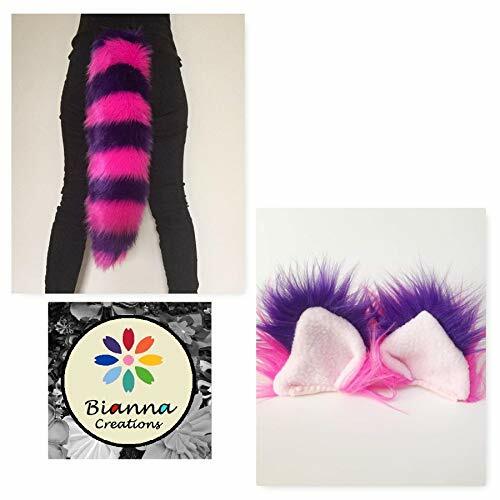 (Ear headband and tail also available seperately) Sized for adults, the headbands are one size fits most and the tail measures about 23 inches in length. Tail attaches via a belt loop. Simply slide the tail onto your belt, or use a tail pin to attach to any clothing! Soft high quality, low-shed faux fur flow evenly with your movements. No course yucky thin furs here! Hand wash, do NOT tumble dry. Brought to you by the one and only Pawstar. 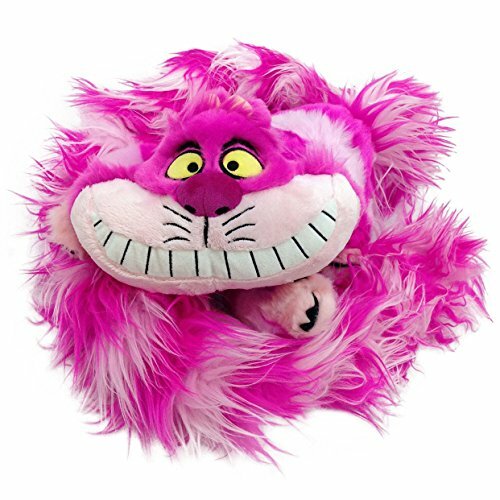 A high quality made in the USA, soft fluffy Cheshire Cat Ear and Tail Combo! Save $5 when you buy these two items in this combo set! 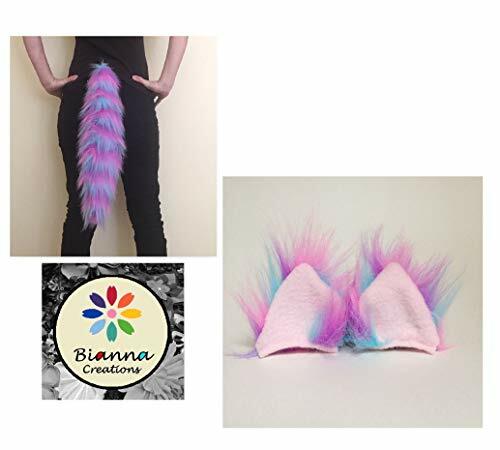 (Ear headband and tail also available seperately) Sized for adults, the headbands are one size fits most and the tail measures about 30 inches in length. Tail attaches via a belt loop. Simply slide the tail onto your belt, or use a tail pin to attach to any clothing! Soft high quality, low-shed faux fur flow evenly with your movements. No course yucky thin furs here! Hand wash, do NOT tumble dry. 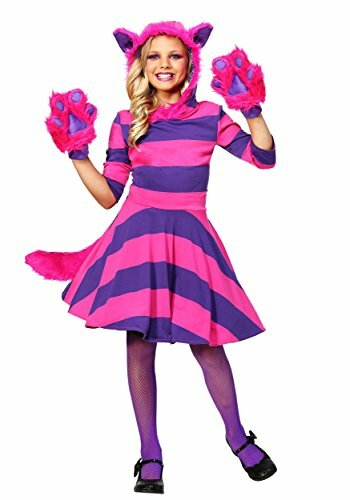 Buy Now http://www.yandy.com/Cheshire-Cat-Costume.php The two-piece Cheshire Cat costume features luxurious blue and gray fur and includes a lace-up corset style top with boning and side zipper and wide, elastic waist, mini skirt with fur tail. Leg warmers, hood and gloves sold separately. Juniors sizing, runs small.